Today is the birthday (1900) of Richard Arthur Warren Hughes OBE, a British poet, short story writer, novelist and playwright. He is best known for his novel A High Wind in Jamaica (1929), but, in the middle of talking about his life and work in general, I want to focus on the fact that he wrote what is generally considered to be the first strictly written for radio drama, A Comedy of Danger (1924), and muse on what subsequently grew out of this small beginning. Hughes was born in Weybridge in Surrey. His father was Arthur Hughes, a civil servant, and his mother was Louisa Grace Warren, who had been brought up in the West Indies in Jamaica. He was educated first at Charterhouse School and then at Oriel College, Oxford. A Charterhouse schoolmaster had sent Hughes’s first published work to The Spectator in 1917. The article, written as a school essay, was an unfavourable criticism of The Loom of Youth, by Alec Waugh, a recently published novel which caused an outcry because of its account of homosexual passions between British schoolboys in a public school. At Oxford he met Robert Graves, also an Old Carthusian, and they co-edited a poetry publication, Oxford Poetry, in 1921. Hughes’s short play The Sisters’ Tragedy was staged in the West End of London at the Royal Court Theatre in 1922. In 1923 Hughes was commissioned by Nigel Playfair of the BBC to write a play strictly for radio, and he produced A Comedy of Danger, broadcast on 15th January 1924. This is usually considered to be the first radio drama in the strict sense of a play produced solely for broadcast on the radio, but a little context is necessary. Danger was certainly not the first play, or dramatic production, broadcast via radio, but it has a legitimate claim to being the first play written exclusively for radio. The BBC broadcast Shakespeare’s A Midsummer Night’s Dream on 2LO on 25th July 1923, which predates Danger, of course, but is not, in any sense, a radio drama. Listings in The New York Times and other sources for May 1923 indicate that at least 20 dramatic offerings were scheduled (including one-acts, excerpts from longer dramas, complete three- and four-act plays, operettas and a Molière adaptation), either as in-studio productions or by remote broadcast from local theaters and opera houses. Remember, these were the very early days of public broadcasting, and it took a bit of experimenting to find out what the medium was good at. Commissioning a solely-for-radio drama was a new departure from adapting stage plays for radio, or featuring dramatic components in variety shows. Bear in mind that this was the era of silent movies, so film drama and radio drama were really two halves of a whole. Movies gave audiences all of the visuals with no sound, and radio was all sound and no visuals. 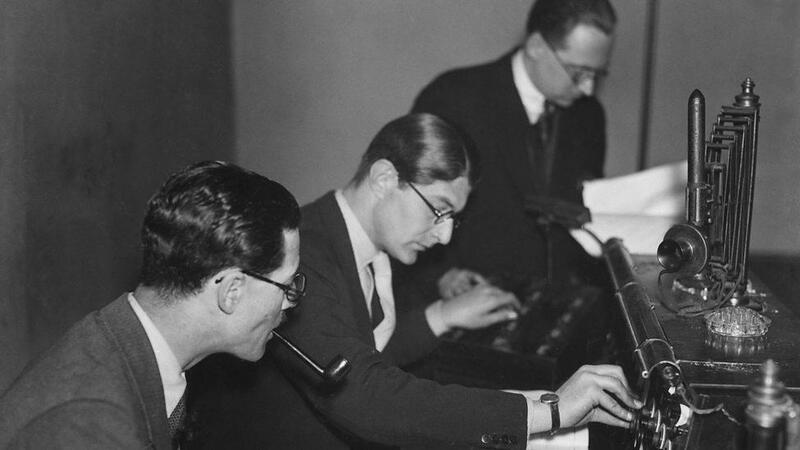 Radio drama could incorporate sound effects and music to heighten the sense of realism, and to fill in for the lack of images, but there was great reliance on well-written dialog. A Comedy of Danger is, rather cleverly, set in a Welsh coal mine in the dark. Thus, what the audience experiences is the same as what the players are experiencing (sound without sight). Not an idea that could hold up for too long, but good for the first effort. The plot of Danger is simple. Three people – a young couple, Mary and Jack, and old Mr Bax – are trapped in the dark in a mine after an accident. At first, Mary is highly excitable, and Jack provides the calm voice of reason. Then they set about discussing life and death. Both Jack and Mary, while realizing that they have their whole lives ahead of them, contemplate death as a great adventure. Bax, on the other hand, though he has had a great many experiences, does not relish the prospect of death. After an explosion, water suddenly comes into the mine, and the three become restless. From a distance you can hear the rescue squads singing, but nobody knows if they will reach the group in time. In the end, the rescuers make it and save Mary and Jack, while the old Mr. Bax does not survive. Some radio plays are now legendary, even though many are eminently forgettable. Perhaps most famous is Under Milk Wood, by Dylan Thomas. Although it has been adapted for stage, it works best as a radio drama because it primarily consists in the inner thoughts of the characters stitched together by a narrator. For my money, the best radio drama of all time is Douglas Adams’ Hitch Hikers Guide to the Galaxy, which I used to own on cassette and play (repeatedly) on long car trips. Attempts at filming the drama fail miserably for me. The combination of superb writing and great voice characterization (plus sound effects), make attempts at turning the drama into a movie a non-starter for me. I don’t want to see some movie producer’s idea of what Marvin, the paranoid android, or Zaphod Beeblebrox look like. Their voices are enough for me. Radio drama has had an illustrious history which I have noted in posts on Tony Hancock, The Goon Show, and many others. It is one of my great delights whenever I get the chance to hear rebroadcasts, or when I am driving in the UK. Sadly in the US, radio drama is all but dead, replaced by myriad music stations and call-in shows. Not the main reason I no longer live there, but a contributing factor. Hughes was employed as a journalist and traveled widely before he married Frances Bazley in 1932. They settled for a period in Norfolk and then in 1934 at Castle House, Laugharne in south Wales. Dylan Thomas stayed with Hughes and wrote his book Portrait of the Artist as a Young Dog whilst living at Castle House. Hughes was instrumental in Thomas relocating permanently to the area. 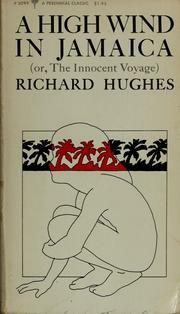 Hughes wrote only four novels, the most famous of which is The Innocent Voyage (1929), or A High Wind in Jamaica, as he renamed it soon after its initial publication. Set in the 19th century, it explores the events which follow the accidental capture of a group of English children by pirates. The children are revealed as considerably less moral than the pirates (it was in this novel that Hughes first described the cocktail Hangman’s Blood). In 1938, he wrote an allegorical novel, In Hazard, based on the true story of the S.S. Phemius that was caught in the 1932 Cuba hurricane for 4 days during its maximum intensity. He also wrote volumes of children’s stories, including The Spider’s Palace. During World War II, Hughes had a desk job in the Admiralty. He met the architects Jane Drew and Maxwell Fry, and Jane’s and Max’s children stayed with the Hughes family for much of that time. After the war, Hughes spent ten years writing scripts for Ealing Studios, and published no more novels until 1961. 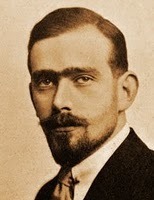 Of the trilogy The Human Predicament, only the first two volumes, The Fox in the Attic (1961) and The Wooden Shepherdess (1973), were complete when he died. Twelve chapters, less than 50 pages, of the final volume are now published. In these he describes the course of European history from the 1920s through World War II, including real characters and events—such as Hitler’s escape after the abortive Munich putsch—as well as fictional. Later in life Hughes relocated to Ynys in Gwynedd. He was churchwarden of Llanfihangel-y-traethau, the village church, where he was buried when he died at home in 1976. For a recipe you can listen in to the BBC on your radio (if you have one and live in the UK) or on the internet at www.bbc.co.uk Normally I do not post drink recipes but Hangman’s Blood from A High Wind in Jamaica is maybe worth a tip of the hat. 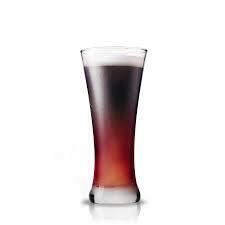 Into a pint glass, doubles of the following are poured: gin, whisky, rum, port and brandy. A small bottle of stout is added and the whole topped up with champagne… It tastes very smooth, induces a somewhat metaphysical elation, and rarely leaves a hangover. I don’t drink alcohol, so you will have to tell me how it works out if you decide to take the plunge.